Why do kids get more colds than adults? home > health > immune system > why do kids get more colds than adults? It starts with a tickle in the throat and a sniffle here and there but before too long you find yourself coughing, sneezing and blowing your nose every few minutes as a pesky cold takes hold. Whether you are an adult or a child, we’ve all been in this situation time and time again however, does it ever feel like the children around you get more colds than the adults? 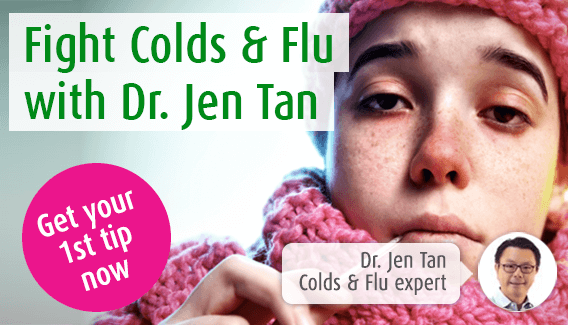 In this blog I investigate whether or not children are more prone to colds and, if so, what the reasons are for this. We have to deal with so many colds in our lifetimes that I’m sure you are aware the problem is caused by a virus. This is passed from one person to the next and can bring on symptoms including a sore throat, a headache and a blocked nose. Symptoms develop in these areas because viruses attach themselves to the soft, warm surfaces that are found here. How many colds do we get? Why do children get more? Ok, so we’ve established that adults get off lightly when it comes to the number of colds they experience each year but let’s have a closer look at why children get more. Young children are prone to lots of colds simply because they haven’t built up immunity to the hundreds of cold viruses that circulate around us. Once you catch a virus you then become immune to it meaning it won’t cause you problems again. This explains why, as you get older, you will suffer from fewer colds. Children are surrounded by their peers at school and at after school clubs which means they are bound to come into contact with new cold viruses. These spread through the air when an individual coughs or sneezes so if this occurs when children are playing in close proximity to one and other, it could lead to someone else developing these symptoms. Also, a virus can live on an object for hours meaning toys can also lead be the cause of cold symptoms. Another reason why younger children are more exposed to more cold viruses is because they tend to put these toys in their mouths. No, I’m not suggesting that children are unclean, only that they may be less rigorous when washing their hands than we adults! If they have unwittingly come into contact with a virus, failing to wash their hands well enough may bring on a cold. As they can’t take many of the medications adults would, we must think of some alternatives to help children deal with colds. You can read my blog ‘tips for keeping your child’s immune system strong' for some ideas but in the meantime here are a few suggestions. Parents are often loathed to allow their children a day off school however, if the cold is severe a little bit of rest could be just what they need. This will give the child time to recover whilst also protecting their fellow pupils and teachers from the virus. Vitamin C can support the immune system but as our levels decline during a bout of cold or flu, we may need to add a little more into our diets in order to see off the virus. As an extra boost though, our Nature-C tablets could prove beneficial. These are made from fruits such as blackcurrants, lemon and passion fruit where vitamin C occurs naturally. However, please note that these tablets can only be used by children over the age of six and at this stage they should only consume one tablet a day. Although there are a number of drinks that can help when you’re suffering from a cold, water is definitely the most important. This will keep your child hydrated but it also flushes toxins from the body thus enabling the immune system to function as normal. However, we lose extra fluids through vomiting, fever and diarrhoea so if your child’s cold is accompanied by any of these things, remember to give them a little extra water! For relief from a dry, tickly cough children over the age of 4 can try our Cough Spray. This contains the herbs mullein and marshmallow which are incredibly soothing. Also, nasal problems including congestion often accompany a cold and so here we can turn our Sinuforce Nasal Spray. This reduces swelling in the in the nasal passages and can be used by children over the age of two. For children over the age of 12 suffering from a cold, there are a few more options when it comes to herbal remedies including Bronchoforce, our chesty cough remedy. This is made from freshly harvested ivy and thyme which helps to expel mucus and catarrh from the chest. Need a solution for that niggling or peristant cough? A.Vogel's Cough Spray contains the herbs mullein and marshmallow which are incredibly soothing. Together they help to bring about fast and effective relief from coughing. To find stores in your area that sell our Cough Spray, simply type your postcode below.